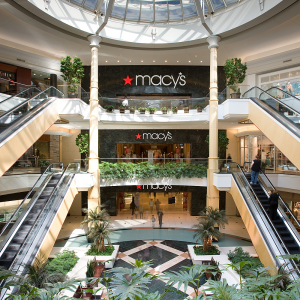 Macy’s today announced that its department stores at the Somerset Collection in Troy and Twelve Oaks Mall in Novi have completed updates and additions including physical changes, new technology, staffing changes, expanded assortments, and more. The two stores were included in Macy’s 2018 Growth50 initiative. As part of the initiative, which was announced in early 2018, Macy’s has invested more than $200 million in capital in 50 stores across the country to enhance the customer experience and create a more vibrant and productive shopping destination. New store features, which were based on customer feedback, include an elevated environment, expanded and curated merchandise assortments, and improved customer service through added positions and new technology. In line with its strategy to test, iterate, and scale new ideas, Macy’s will expand the improvements to additional stores in 2019. The retailer also operates stores at Lakeside Mall in Sterling Heights, Oakland Mall in Troy, and Fairlane Town Center in Dearborn. — Physical upgrades in Growth50 stores include the addition of new lighting and flooring and renovated fitting rooms and restrooms. Additionally, certain departments have been relocated to improve space productivity and better suit customer traffic. — Increased breadth and depth of product assortment to appeal to the customer demographic unique to each store. — All Growth50 stores will now offer a food and beverage option for customers, i.e. Starbucks, Potbelly, Pinkberry, Macy’s Tastebar, and more. — All Growth50 stores have added or expanded furniture and mattress departments, and select Growth50 stores have also added Backstage, Macy’s on-mall, off-price concept. — All Growth50 stores have increased staffing levels and expanded store hours. New services available include My Stylist, a complimentary personal shopping service; At Your Service, a dedicated location for seamless online pick-ups and returns; and Scan and Pay, a feature on Macy’s mobile app that allows customers to quickly process their own purchases with ease. — Elements of experiential shopping can be found throughout these stores, from reimagined beauty departments to furniture virtual reality, where customers can visualize the exact dimensions of their space and furniture, alleviating concerns around fit. Macy’s, the largest retail brand of Macy’s Inc., delivers fashion and affordable luxury to customers at approximately 650 locations in 44 states, the District of Columbia, Puerto Rico, and Guam, as well as to customers in the U.S. and more than 100 international destinations through its online store at macys.com.